Further changes occurred to the writing staff, with Michael Piller brought on board as executive producer after Michael I. Wagner held the position for three weeks. Ronald D. Moore also joined the staff following the submission of a script for "The Bonding". Hans Beimler, Richard Manning, Melinda M. Snodgrass and Ira Steven Behr all left the staff at the end of the season. Actor Wil Wheaton also asked to leave following the way his character, Wesley Crusher, was written during the season, a decision he later regretted. Other changes included a modification to the opening sequence, and changes to the Starfleet uniforms on the show, which resulted in the creation of Patrick Stewart's "Picard Maneuver". The season opened with Nielsen ratings of 10.8 for "Evolution" with the highest rated episode being "Yesterday's Enterprise" which scored 11.9. This was the highest rating received since the sixth episode of the first season. The lowest rating of the season was received by the 23rd episode, "Ménage à Troi", which was given a score of 9.1. After a couple of initial ranking decreases, the episodes in the second half of the season rose back to third place in its timeslot. The season was well received by critics, who called it one of the best of the series. Particular praise was given to several episodes including "Yesterday's Enterprise", "Sins of the Father" and the first part of "The Best of Both Worlds". Box sets of the season have been released both on DVD and Blu-ray, and "The Best of Both Worlds" was given a limited theatrical release. Ronald D. Moore joined the staff of The Next Generation during the third season following the submission of a spec script. Senior writer Maurice Hurley left at the end of season two, and Michael I. Wagner was brought onto the show by executive producer Rick Berman. Wagner's tenure was brief, lasting three weeks, and he recommended Michael Piller to replace him. Wagner and Piller had previously worked together on the 1988 American television series Probe. Piller's agent had advised him not to join Star Trek as he would be "pigeon-holed as a freelance writer", but he ignored the advice. He would also look at leaving at the end of the season, but stayed after Berman and show creator Gene Roddenberry convinced him. Piller wrote the episode that opened the season, "Evolution" and took over as executive producer from "The Bonding" onwards. He explained to the writing staff that there was two requirements for every episode, saying that "every episode is going to be about a character's growth. And every episode has to be about something." The season also saw internal promotions to the existing writing staff. Both Hans Beimler and Richard Manning became co-producers, while Melinda M. Snodgrass became an executive script consultant. Following "The Vengeance Factor", Ira Steven Behr joined the crew as a writing producer. All four writers left the series at the end of the season. Behr would go on to become executive producer for Star Trek: Deep Space Nine. Richard Danus also acted as executive story editor between "Booby Trap" through to "Yesterday's Enterprise". Because of the open door policy on spec scripts Piller employed, the season saw the first script for Ronald D. Moore with "The Bonding". Because of his success with that script, he was subsequently hired as executive story editor from "Sins of the Father" onwards. Because of the way his character was written during season three, Wesley Crusher actor Wil Wheaton asked to be written out of the series. It was a decision he later regretted, as he realised that all the main cast outside of Picard, Riker and Data had similar roles at the time. He praised the writing of Moore in "The Bonding" and Piller in "Evolution", and said that "Yesterday's Enterprise" was one of his favourite episodes. The season also saw a relaxation in Gene Roddenberry's previous direction that The Next Generation could not touch on aspects of The Original Series. This was seen in the episode "Sarek", but was specifically related to the end of the episode where Captain Jean-Luc Picard mentions Spock during a mind meld with Sarek. Piller described this one act as "the breakthrough which allowed us to open the doors, that allowed us to begin to embrace our past." Season three saw the return of Gates McFadden to the main cast role of Dr. Beverly Crusher. Gates McFadden returned to the role of Doctor Beverly Crusher in the third season, the character had been written out for season two and replaced with Diana Muldaur playing Doctor Katherine Pulaski. Roddenberry had ensured that Crusher was not written out permanently to allow for her return in the future. Keith DeCandido blamed her departure on Maurice Hurley. After he left the series, McFadden returned. Fans started a letter-writing campaign to reinstate McFadden throughout the second season. Both Roddenberry and Berman decided that it would be better to bring back McFadden than to look for a third doctor in three years as they agreed that the Pulaski character was not working. Season three saw further appearances for several recurring characters from the franchise, including John de Lancie as Q in "Déjà Q", Majel Barrett as Lwaxana Troi in "Ménage à Troi", who had both appeared in multiple episodes of previous seasons. It also featured an appearance by Mark Lenard as Sarek. Lenard had previously appeared in this role in the Star Trek: The Original Series episode "Journey to Babel" as well as the film franchise. Denise Crosby, whose character Tasha Yar was killed in the first season episode "Skin of Evil", returned in "Yesterday's Enterprise" due to changes to the timeline seen in the series. The events of that episode would set up appearances in The Next Generation for the actress as the half-Romulan character Sela in later seasons. The season also featured the first appearance of actors who would later reappear both in The Next Generation and later series of the franchise. These included Tony Todd as Worf's brother Kurn, who would appear in this role later in the series and also in Star Trek: Deep Space Nine. "Hollow Pursuits" marked the first appearance of Dwight Schultz as Lt. Reginald Barclay in the franchise. He would become a recurring character in the series, and go on to appear in several episodes of Star Trek: Voyager and the film Star Trek: First Contact (1996). Schultz had previously been known for his role as H. M. Murdock in the television series The A-Team. 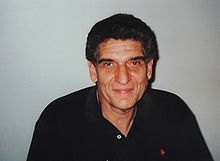 Andreas Katsulas made his first appearances as Tomalak during season three. Susan Gibney appeared as Dr. Leah Brahms in "Booby Trap", and would later return in that role in "Galaxy's Child". Gibney was also considered for the role of the Captain Janeway in Voyager and played Captain Erika Benteen in the Deep Space Nine episode "Paradise Lost". An actor who later gained a recurring role in Deep Space Nine following an appearance the third season of The Next Generation was Max Grodénchik. He appeared as the Ferengi Sovak in "Captain's Holiday", and as another Ferengi in the fifth season's "The Perfect Mate". In DS9, he was initially cast as a "Ferengi Pit Boss" in the pilot episode, "Emissary". That character would soon become Rom, who by the end of the series was the leader of his race. Jennifer Hetrick also made her first appearance in "Captain's Holiday" as Vash. She would also appear as that character in "Qpid" and Deep Space Nine's "Q-Less". Andreas Katsulas made his first appearances as the Romulan Tomalak in "The Enemy" and "The Defector. He would later reappear in episodes of later seasons, in both "Future Imperfect" and the series finale "All Good Things...". Charles Cooper and Patrick Massett appeared as K'mpec and Duras respectively in "Sins of the Father", and would also appear in those roles once more in "Reunion" in the fourth season. A number of other actors also appeared during the season in prominent guest star roles, including Saul Rubinek, Tricia O'Neil, Harry Groener and James Sloyan. Groener returned to Star Trek during the final season of Star Trek: Enterprise in a different role during the episodes "Demons" and "Terra Prime". Robert Blackman joined the crew prior to the start of the season as costume designer. He had been recommended by his predecessor, Durinda Rice Wood. He later recalled that he wasn't interested in the job and only took the interview as a favor, but he was so struck by producer David Livingston's enthusiasm that he accepted the post. One of his tasks was to redesign the Starfleet costumes which had been used for the first two seasons. The previous versions were made of spandex and caused back problems in the cast. The new costumes cost $3,000, and were made out of a wool gabardine. With Roddenberry's permission, Blackman changed the primary color on the uniforms to black with only blocks of red, gold or blue to signify the branch. This change was intended to set off the faces of the cast and to smooth out their figures on screen. While the men's costumes became two piece outfits, the costumes for McFadden and Marina Sirtis remained as jumpsuits requiring them to maintain a specific weight each. It was following the introduction of these costumes that the nickname of the "Picard Maneuver" was given to Patrick Stewart's habit of tugging down his uniform tunic. Blackman also overhauled the Starfleet Admiral's uniforms, and worked on a variety of alien costumes including designed Klingon and Vulcan outfits. Associate producer Peter Lauritson was promoted to co-producer and both Michael Okuda and Rick Sternbach were credited with the addition title of technical consultant due the level of technical help they had been giving the writers since the start of the series. The opening sequence of the series was changed from the third season onwards. Instead of showing the Enterprise exiting the Solar System as in the first two seasons, it now showed the vessel coming in from the Milky Way. By the end of season two, The Next Generation had risen to become the third most viewed series in its timeslot. "Evolution" opened the third season with Nielsen ratings 10.8 according to Nielsen Media Research. These were among the second lowest ratings of the season, with only the 23rd episode, "Menage a Troi", scoring lower with 9.1. Although other episodes received higher Nielsen ratings, they were ranked lower in comparison to other series in the same timeslot. "The Bonding" was ranked 6th, while "The Vengeance Factor" was ranked 5th. Following the latter, the series rose back to 3rd with only occasional drops to 4th place. "Yesterday's Enterprise" was the highest rated with Nielsen ratings of 11.9. It was the highest rated episode since the eighth episode of the first season, "Justice" which was broadcast on November 8, 1987. Keith DeCandido for Tor.com thought that the third season was where the series "really came into its own". He praised the changes to the show, such as the modification to the uniforms, and especially the new writing staff that joined the crew during the third season. He said that some of the episodes were highlights of the franchise, not just The Next Generation. Those episodes praised were "Sins of the Father", "Yesterday's Enterprise" and the first episode of "The Best of Both Worlds". He particularly thought that the season finale had never been matched in the entire franchise. He summed up the season by saying that it had "solidified TNG as a show that had finally outgrown the shadow of its predecessor and could stand on its own as a truly fine television show." Michael Simpson in his review of the Blu-ray release for SciFiNow magazine said that season three was where the series "found its feet". He thought that the increase in quality was due to the changes in writing staff, such as the addition of Piller, Echevarria and Moore. He also said that it was the most consistent and memorable season of the series, and several episodes were an "object lesson in clever, suspenseful plotting". Richard Edwards in his review for SFX magazine, said that it was in the third season that the "chemistry really clicked" between the main cast. He compared it to The Original Series, saying that in this season the show started "to vie with Kirk and co for the mantle of Trek's definitive incarnation". He too praised "Yesterday's Enterprise", "Sins of the Father" and "Best of Both Worlds", calling the latter the show's greatest story. In Jeremy Conrad's review of season three for IGN, he said that "Yesterday's Enterprise" and the first part of "Best of Both Worlds" lifted the season and "define[d] it as the best of all seven years". In 2019, CBR rated Season 3 of Star Trek: The Next Generation as the 16th best season of all Star Trek seasons up to that time. "Yesterday's Enterprise" was nominated in three categories at the 1990 Emmy Awards, winning one for Outstanding Sound Editing for a Series. "Deja Q" was also nominated in two categories, but was not successful in either. In total, the series was nominated for nine awards, with the only other win coming in the category of Outstanding Art Direction for a Series for "Sins of the Father". "Allegiance", "Tin Man" and "Hollow Pursuits" were the other episodes nominated. For the second year in a row, the series was nominated in two categories at the Youth in Film Awards. At the 1990 awards, they were for Best Off-Prime Time Family Series and Best Young Actor in an Off-Primetime Family Series for Wil Wheaton. However, it did not win in either categories. In the following table, episodes are listed by the order in which they aired. Nanites escape Wesley Crusher's (Wil Wheaton) lab and form a collective intelligence, threatening the Enterprise. Data (Brent Spiner) must persuade a stubborn colony to evacuate their homeland under threat of a powerful and mysterious race. The Enterprise investigates the last two survivors of an annihilated world, as the entire surface has been transformed to dust except their one little house and garden. Counselor Deanna Troi (Marina Sirtis) and Commander William Riker (Jonathan Frakes) must rectify the damage done when two primitives from Mintaka III catch a glimpse of a Federation observation team and eventually conclude that Captain Jean-Luc Picard (Patrick Stewart) is a god. A mysterious entity seeks to comfort a boy who has lost his mother in an accident on its planet. The Enterprise falls victim to an ancient booby trap set to snare starships. While in an effort to find an escape, Lt. Geordi La Forge (LeVar Burton) finds himself falling for the holodeck's representation of an accomplished Federation engineer Dr. Leah Brahms (Susan Gibney). Geordi La Forge is trapped on a harsh planet with a hostile Romulan named Bochra (John Snyder) but the two must work together to survive. Deanna Troi falls in love with a charismatic negotiator who vies for rights to a wormhole. But several different groups, including the Ferengi, are after the wormhole as it may be the only known stable wormhole in existence. William Riker exposes an assassin bent on carrying out an ancient blood feud in the midst of critical peace talks with a band of nomadic marauders. Determined to avert a war, a Romulan officer defects to warn Captain Jean-Luc Picard of his Empire's invasion plans. A genetically modified soldier reveals the social problems of a world hoping to join the Federation. Dr. Beverly Crusher (Gates McFadden) is kidnapped by terrorists who need medical assistance as the technology employed in their attacks is detrimental to their own health. The Q Continuum strips Q (John De Lancie) of his powers, and dumps him aboard the Enterprise. Commander Riker is accused of murder and the holodeck is used to reconstruct the events from different perspectives. The USS Enterprise-C arrives from the past causing a shift in reality and the return of the deceased Tasha Yar (Denise Crosby). Lt Cmdr. Data creates a young gynoid, Lal (Hallie Todd), which he considers his daughter. But a Starfleet Admiral arrives demanding she be removed from the Enterprise. Lt. Worf (Michael Dorn) goes on trial to prove his father's innocence after the Klingon High Council declares that Worf's father is a traitor and had worked with the Romulans all along. Aliens kidnap Captain Picard and replace him with a duplicate who sends the Enterprise to a pulsar. Meanwhile, the real Picard and three other captives try to escape from their prison. Captain Picard is convinced to take some much needed shore leave on Risa but gets wrapped up in a woman's treasure hunt. A gifted telepath whom Deanna Troi once treated as a patient comes aboard to establish first contact with an unknown vessel near an unstable star before the Romulans do. Lt. Reginald Barclay (Dwight Schultz)'s use of the holodeck as an escape interferes with his duties. Meanwhile, the Enterprise suffers from mysterious and random malfunctions. Kivas Fajo (Saul Rubinek), an obsessed collector, is determined to add Data to his private collection of unique items. The Enterprise is plagued by an outbreak of violence when it is visited by the renowned Vulcan ambassador, Sarek (Mark Lenard). Discovering that Sarek is suffering from an incurable disease, Captain Picard must allow a mind-meld with him so that the ambassador can complete a last vital negotiation between the Federation and the Legaran. The Ferengi kidnap Counselor Deanna Troi, Lwaxana Troi (Majel Barrett), and Commander William Riker. The Enterprise rescues a humanoid with amnesia and incredible healing powers. Captain Picard is kidnapped by the Borg as they begin their invasion of Federation space. In 1997, TV Guide ranked this episode #70 on its list of the 100 Greatest Episodes. In 2009, it moved to #36. The previous Blu-ray releases of The Next Generation has been marked by one-day cinematic releases of chosen episodes. For the third season, the cliffhanger episode was broadcast for the first time with both parts of "Best of Both Worlds" shown in cinemas on April 25, 2013. The two-part episode also received an individual Blu-ray release which coincided with the releases of the season three box set. ^ "Evolution" and "The Ensigns of Command" were filmed in a different order to that in which they aired. ^ a b Wheaton, Wil (January 28, 2013). "a matter of perspective". Wil Wheaton dot net. Retrieved September 8, 2013. ^ "Behr, Ira Steven". Star Trek.com. Retrieved September 9, 2013. ^ a b c d e f g h i j DeCandido, Keith (February 14, 2012). "Star Trek: The Next Generation Rewatch: Third Season Overview". Tor.com. Retrieved September 8, 2013. ^ a b DeCandido, Keith (October 31, 2011). "Star Trek: The Next Generation Rewatch: Second Season Overview". Tor.com. Retrieved September 8, 2013. ^ "Catching Up With Denise Crosby, Part 1". Star Trek.com. CBS Productions. March 13, 2012. Retrieved September 8, 2013. ^ Margulies, Lee (July 20, 1985). "Dwight Schultz: Typecast As Versatile". Los Angeles Times. Retrieved September 8, 2013. ^ Kim, Albert (September 23, 1994). "Genevieve Bujold Abandons 'Star Trek: Voyager'". Entertainment Weekly. Retrieved September 8, 2013. ^ "Production Report: Mars Main Setting of Penultimate "Terra Prime"". Star Trek.com. March 1, 2005. Archived from the original on March 3, 2005. Retrieved September 8, 2013. ^ a b "Star Trek: The Next Generation Nielsen Ratings – Seasons 1–2". TrekNation. Archived from the original on October 5, 2000. Retrieved September 6, 2013. ^ a b c d e f g h i j k l m n o p q r s t u v w x y z "Star Trek: The Next Generation Nielsen Ratings – Seasons 3–4". TrekNation. Archived from the original on October 5, 2000. Retrieved September 6, 2013. ^ a b c Simpson, Michael (May 20, 2013). "Star Trek: The Next Generation Season 3 Blu-Ray Review". SciFiNow. Retrieved September 8, 2013. ^ a b c Edwards, Richard (April 26, 2013). "Star Trek: The Next Generation Season Three Review". SFX. Retrieved September 8, 2013. ^ Conrad, Jeremy (June 21, 2002). "Star Trek: The Next Generation Season Three". IGN. Retrieved September 8, 2013. ^ "Primetime Emmy Award Database". Emmys.com. Retrieved September 8, 2013. ^ "Eleventh Annual Youth in Film Awards". Young Artist Awards. Archived from the original on April 9, 2014. Retrieved September 8, 2013. ^ Collura, Scott (July 24, 2012). "Star Trek: The Next Generation Lives Again on the Big Screen". IGN. Retrieved September 8, 2013. ^ Nicholson, Max (November 8, 2012). "IGN and Fathom Present: Star Trek: TNG Beams Back Into Theaters for Season 2's Blu-ray Release". IGN. Retrieved September 8, 2013. ^ "The Best Of Both Worlds In Theaters April 25". Star Trek.com. February 15, 2013. Retrieved September 8, 2013. ^ a b Ordway, Holly E. (June 29, 2002). "Star Trek the Next Generation – Season 3". DVD Talk. Retrieved September 6, 2013. ^ a b Miller III, Randy (April 23, 2013). "Star Trek: The Next Generation – Season Three (Blu-ray)". DVD Talk. Archived from the original on March 4, 2016. Retrieved September 6, 2013. ^ "FIRST LOOK: Sleek New TNG DVD Packaging". Star Trek.com. February 19, 2013. Retrieved September 8, 2013. ^ "Star Trek: The Next Generation – Season 3 [DVD] ". Amazon.co.uk. Retrieved September 8, 2013. ^ "Star Trek The Next Generation – Season 3 (Slimline Edition) [DVD]". Amazon.co.uk. Retrieved September 8, 2013. Erdmann, Terry J.; Block, Paula M. (2000). Star Trek: Deep Space Nine Companion. New York: Pocket Books. ISBN 978-0-671-50106-8. This page was last edited on 26 March 2019, at 18:50 (UTC).